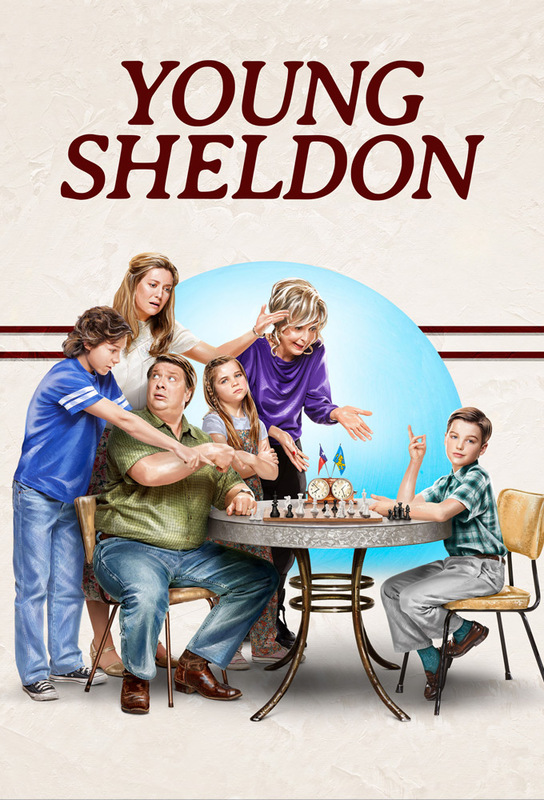 In the series opener, nine-year-old Sheldon Cooper, is a once-in-a-generation mind capable of advanced mathematics and science but learns that isnt always helpful growing up in East Texas. When a NASA representative visits Sheldons school and dismisses his science, Sheldon is set on a mission to prove him wrong. While Mary, Memaw and Missy have their girls night at the salon, the three Cooper men plan their road trip to see the space launcher, but it doesnt go as well as they plan. George Sr. strikes a deal with Sheldon to tutor Georgie when poor grades threaten to keep him from playing football. A worried Mary sends Sheldon to Sunday school after she finds him playing Dungeons and Dragons with his friends. When Mary takes a job as church secretary, she finds herself becoming Pastor Jeffs marriage counselor. Also, Sheldon and Missy spend their first afternoon home alone. Sheldon makes friends with an upperclassman who introduces him to a new field of science. Mary and George disagree on how to handle Sheldons blossoming social life. Mary bans Sheldon from reading a mature comic book. Sheldon decides its time to stop living under Marys thumb. A battle erupts between the Coopers and Sparks when the Sparks new dog terrorizes Sheldon. While Sheldon is busy keeping tabs on Meemaw’s budding relationship with Dr. Sturgis (Wallace Shawn), George Sr. and Mary attempt to bond with their other children.